Even though there is some research that suggests that nursery school doesn’t necessarily benefit children, there is other scientific research that shows how beneficial it is, especially to a child’s brain. Nursery school not only has educational benefits but children also develop social and behavioural skills as well. Here are some of the benefits that children can receive from attending nursery school. The results of a 25-year study conducted on nursery school students, including a six-year follow up, showed that there is a crucial period of learning for children. If they don’t start learning during this timeframe, then they may not develop the ability to absorb information. While they are learning academic skills, children also learn how to manage stress, get along with their peers, and solve problems in nursery school. The results also showed that children who attend preschool do better in life financially and socially. Another study, which was conducted over seven years and tracked the process of 3,000 children, showed that those who attend nursery school are also better prepared for primary school. The results revealed the nursery school children were 10 to 12 months ahead of their peers who didn’t attend day nursery when they entered primary school. It also showed that they usually do the best on national reading, writing, and maths tests taken at age seven. Most of the children in the study who attended nursery school for one to two years seemed to be less antisocial than those who attended for longer or who didn’t attend at all. Only 5.3% of children who went to preschool for one to two years were found to bully, tease, or interfere with other children’s learning. This number rises to 6.8% for children who didn’t go to nursery school and 7.1% for children with three or more years of nursery school. Children get to take part in a wide variety of activities during nursery school. They can learn how to paint, draw, mould clay, and build with construction blocks. They will experience music by listening to it, learning the words of simple songs and moving or exercising to music. They can also start learning cooking skills by helping to make simple dishes. Children also get to participate in group activities, which can teach social skills such as waiting their turn to speak, allowing others to have turns, and not being disruptive while others are talking. If they don’t have siblings at home, nursery school can teach children how to share toys and how to resolve conflicts amongst themselves. Nursery school also teaches children about structuring their day because they arrive and leave at the same times every day. While in day care in Nottingham, play and learning times will take place at certain hours of the day so children will also learn to tell time and anticipate the next activity. 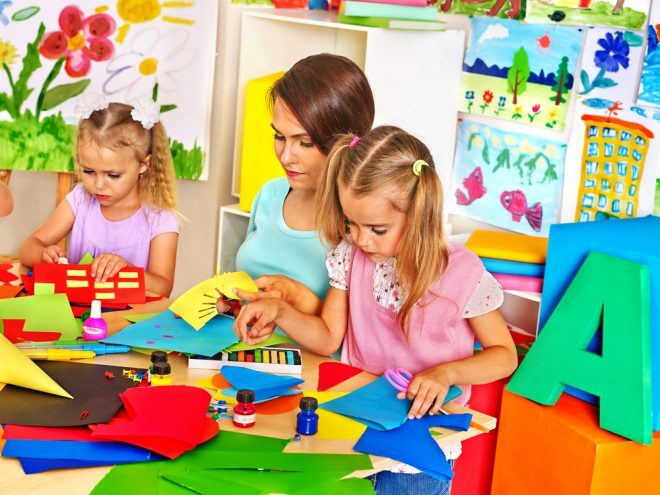 If both parents need to work, nursery school is a great place for toddlers because they can learn and play in a safe environment throughout the day.